Staying in Victoria but moving to the south west of the State, it's home to one of our most famous natural attractions, the 12 Apostles. 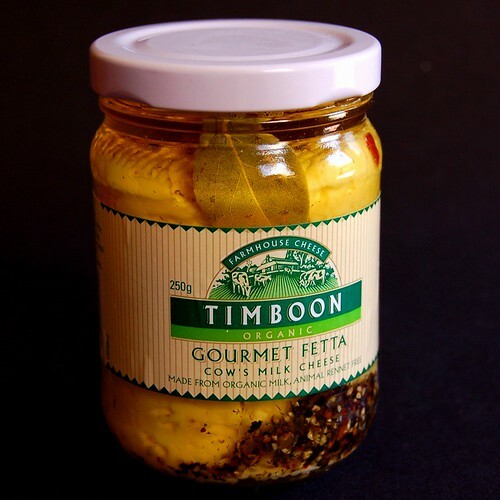 It's also home to Timboon Farmhouse Cheese. Timboon Farmhouse Cheese was established in 1985 by Herman Schultz and uses bio-dynamic methods in the production of their cheese including the use of non-animal rennet. 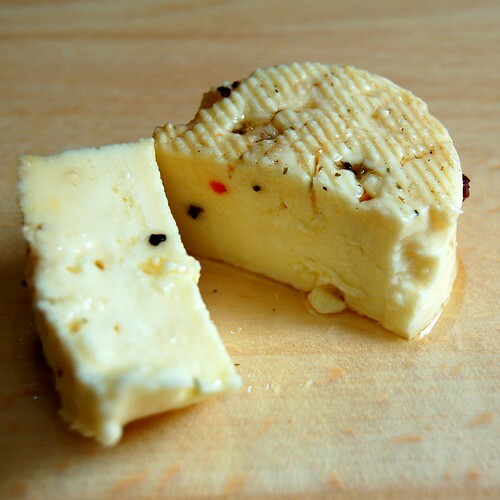 Though no longer owned by Schultz, the cheese is still made from the milk of his herd of Jersey and Friesian cows. Open: Daily 9.30am to 5pm for light lunches and tastings at "The Mousetrap"
Now, I am quite fond of marinated fetta to the extent that I make my own but that doesn't mean that I don't appreciate commercially available varieties. 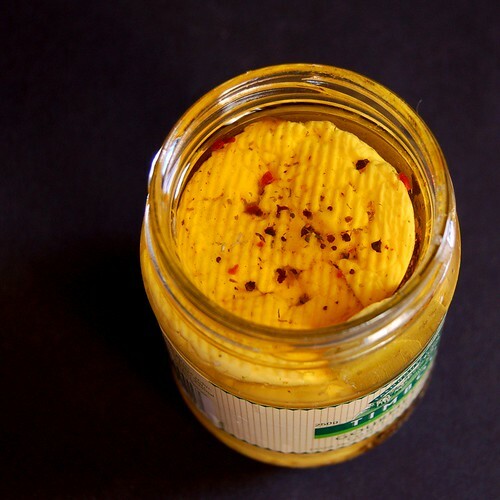 Inside each jar you'll find 3 discs of organic cows' milk fetta marinated in Canola oil and a mix of dried herbs and spices - there's bay leaf, peppercorns, chilli flakes, dried oregano to name a few. Tastewise, it's fairly low in salt and very creamy which is directly attributable to the milk blend used and really quite easy to eat on it's own. Superficially, it looks very attractive on a cheese board. 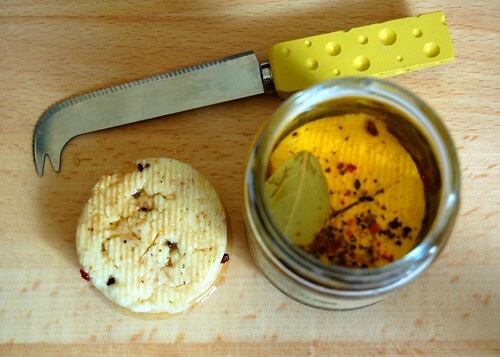 It's also excellent in salads and don't forget to use some of it's oil for the dressing as it's full of flavour.